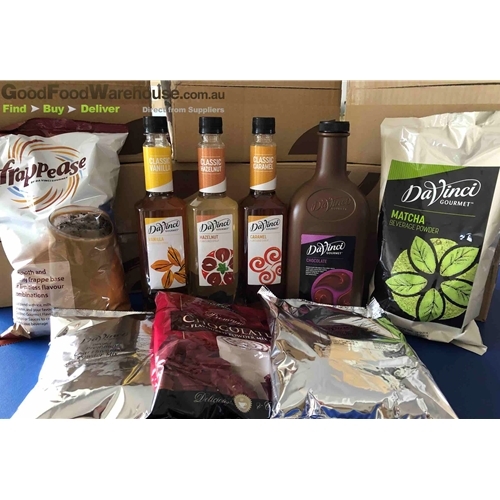 DaVinci Gourmet is a market leader when it comes to Wholesale Cafe Beverages. To help you get started we've designed a Cafe Essentials starter pack, everything you need to get your business up and running, or you might be keen to trial a different range. This offer is exclusive to Good Food Warehouse. If you're keen to swap a flavour, just add in a note and we'll adjust accordingly. We haven't included the NEW Smoothie Range, however happy to see how we can include this if required, we can swap something out for you.